What is the best way to take notes when self-studying? I myself swing rather wildly between writing down everything and writing nothing. Obviously, neither is a good approach. I also have troubles with the neatness of my notes, especially because my handwriting isn't exactly pretty. What tips do you recommend for taking good, neat, understandable notes? creating a shorter, abstracted, version of your sources that you can save to return to later without recapitulating your whole education. learning something about the topic - getting it in to your head. For the former, you can type up notes as you go. Try to focus on the main points, not the detail. Leave lots of references in your notes so that you can easily return to the source as needed. However, if your objective is to actually learn the material from an operational perspective - using it - then typing up notes doesn't help nearly as much. Writing out things long hand is much better - but you may need to practice with the pen. And the fact that it is slow is also an advantage, since you engage with the material over a longer period. If you are studying for a field in which you want to become a professional, take notes by hand with a pen on good paper. In fifty years you will still be able to use those notes whereas the computer notes are likely inaccessible. The reason for long hand writing (even printing) is that your brain is more engaged in the process than it is with typing. That is how you learn - engaging the brain, not the motor muscles in your hands (unless you are learning a physical act like rock climbing or a martial art, where muscle memory is equally important. Moreover, to learn some subjects you need to also use the knowledge you are gaining. In math you solve a lot of problems. In CS you write a lot of programs. I History you pose a lot of theses. Whatever is appropriate, but it involves problem solving and creation in some way. See https://cseducators.stackexchange.com/a/1168/1293 for additional comments, including the other answers to the same question. If you search this site for "changing the brain" other hints will reveal themselves. Optimal note-taking depends on the goal. For example, if all you want is to pass a quiz next week, then a quick, flimsy style's more appropriate. Here, I'll write about taking notes that a life-long learner intends to keep-and-extend into life as a researcher. arbitrarily annotated (e.g. adding "Comments" in MS Office applications). You can carry all of them with you always. A library can fit into a storage device the size of a small coin (e.g. a micro SD card) and kept on a cloud storage account. and also inactive content like images. Spell check and grammar check are helpful. More complex formatting is possible through features like "Styles" in MS Word. Tip: If you don't have it already, you should add styles like code style to your default style set in your favorite word processor. Everything should be dated; ideally, you'd prefix all filenames with a time stamp of when they were created (originally - not just when the actual file was transferred/copied/downloaded/etc.). 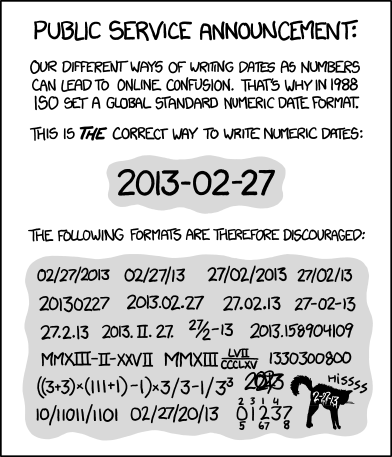 As always, use ISO 8601 for time stamps and other dates. They help you trace through your notes to find something that you recall but need to reread. Especially in research, understandings constantly change. You want to know if your notes or downloaded papers are from a month ago or 10 years ago; it really matters. But you still usually want to keep old stuff. It can help you both trace conceptual histories and aide you in recalling something that you've seen before. Can help you establish the context other authors are in. If another author writes a lot in a field, their own understanding will evolve in time. If they contradict themselves over the years, comparing dates can help, because their more recent opinions are generally the result of having gone through a shift in understanding and likely to be more well-considered than their earlier opinions. You want your notes to endure, so avoid systems that might break in a few years as best you can. Sometimes document formats like PDF make sense despite being proprietary, though it's best to avoid relying on them as much as possible. Avoid relying on third-party solutions whenever you can't easily-and-reliably convert away from them at any time without losing the prior content. MS Office applications can often save to open-format variants, so they're an example of something that you can migrate away from. But, MS Office add-ins that rely heavily on VBA or other Office-specific mechanisms are far less reliable and migratable, so avoid reliance on them as much as possible. Avoid third-party solutions that you can't verify for security. You may not care about security now, but as you get further into your career and start developing content that you need secure, the potential for a backdoor (whether intentional or due to bugs) may force you away from software that'd otherwise have been nice to use. Print webpages to files, e.g. using print-to-PDF that many browsers now offer. Websites can go down or have their content change. Sure, you might be able to try to look them up on an archiving service with varying degrees of success, but that slows you down. So, do save/keep the links, but also cache a copy of the current version that you've found useful. Keep your notes on various devices - not just separate files on the same computer. Thumb drives aren't known for their reliability, so don't rely on them as absolute security measures, but if you copy to several thumb drives stored in different locations, that's one cheap way to get a significantly reduced risk profile. Cloud storage accounts can also help. If you do have non-electronic note materials; e.g., hand-written notes, images, lab book notes, or handouts from a class; if they're potentially important, try to get them on the computer. Scanning them or snapping a picture with your phone can be better-than-nothing. Optical character recognition (OCR) can help make some hand-written notes into electronic copies. It's not particularly reliable or stress-free just yet, but as long as you have something for future OCR to work on, it remains an increasingly useful tool. I find note taking to be the most useful when it's done in the bullet journal way in real time. Make points while listening closely, write down the few terms which resonate, leave space for the rest(which you can write as revision after class). Make the notes well spaced, so that you can also add a few key points which you learnt yourself. From what I have read. Most of us agree that digital information is more accessible. Some of us agree that paper is more durable. Some have stated that writing will produce better memories. I will just add a few bits. Don't waste your time trying to make notes, for reference, that are already in the books. Use books and the internet for this. Write down anything that surprises you. Summarize your notes every evening, then again at the end of the week, then again at the end of a term. Each time making them shorter. Now that we are going to summarize our notes, we can start by writing on paper in lessons, and summarize to computer. If we use a computer, then use open formats. If we use a computer, then use a revision control system. Don't let the wrong people get hold of confidential/secret information: for this use encryption. Don't lose information, for this copy data everywhere. (use a synchronization system that treats data as immutable). Not the answer you're looking for? Browse other questions tagged self-learning notes or ask your own question.